Old farmhouse restored with a large open fireplace, jointed stone, exposed old beams. Close all shops, horseback riding, fishing in river, lake, hiking, climbing water (via ferrata), tennis, amusement park, swimming, canoeing, restaurants. Bison Sanctuary 20 km, wolf park 40 km, Malzieu walled city 2kms. Next time picking mushrooms, blueberries, raspberries. On the ground floor: kitchen, dining room, living room, fireplace, WC, shower room. Upstairs: 1 bedroom (1 bed 2 places), 1 bedroom (1 bed for 2 people + 1 cot), 1 bedroom (2 bunk bed + 1 bed 1 place), bathroom, WC. Washing machine, dryer, dishwasher, hob, electric oven, fridge freezer, microwave, television, internet connection. Bed linen and towels are provided on request, the sofa is not convertible is a corner sofa. 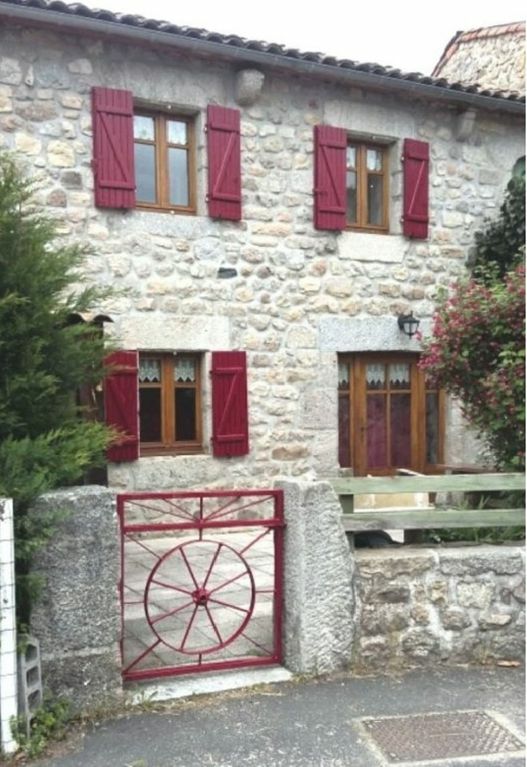 Gite5 people of France 3 ears in Lozère, instead said Villechailles, altitude 900 meters, quiet village near the city Mazieu 2 km. Character house in Margeride with a large fireplace, jointed stone and old beams. Near Saint Chely d'Apcher 12 km, 45 km Mende, in the heart of the Margeride near Aubrac and the Cevennes. A75 motorway at 10 km.